Home » What Now? How to win this thing! (Scroll down for great resources.) The photos of the march in New Delhi, India hit me the most. Thousands of women, inspired by the March on Washington, flooded the streets, holding signs that said, “I will go out!” They were demanding safe public spaces. 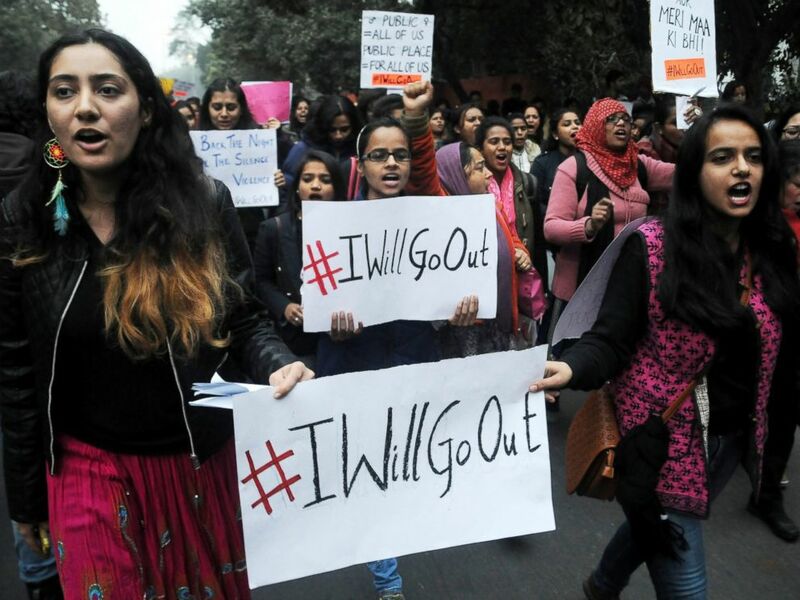 They wanted to walk home without being harassed or raped. Courage is contagious. A woman using her voice to stand up for what she believes inspires countless women to use their voices, around the world. Empowering women globally doesn’t just make for safer women or safer streets, it is the single best way to lift whole communities out of poverty. This morning, our son and daughter asked, “What happens now, after the march?” Enough complaining and worrying. Enough bashing of people who voted for Trump. More listening. More purposeful action. It is easy to complain about our current president, but he has unified us to get out of our warm beds and do something in the name of equality, diversity, and inclusiveness. On Saturday, January 21st, I felt the proudest I have about the United States since I immigrated here in 1989. I am a woman, an immigrant, a mother who believes that women’s rights are human rights. I felt privileged to walk with my daughter and so many beautiful women, men, and children in a sea of peaceful dissent. The mood was celebratory and hopeful. You could almost hear individuals say, Thank goodness, I am not alone. Over six hundred marches stopped traffic in at least thirty countries. It is being called the largest multi-city march in American History. Maybe in Global history. In the USA, the numbers are still rolling in. Los Angeles: 750K, Washington: 500K, Chicago: 250K, Boston: 150K, Denver: 150K. Thousands worldwide gathered in solidarity in Buenos Aires, London, Berlin, Toronto, Paris, and of course, in New Delhi, India. We are definitely NOT alone! I brought my eleven-year-old daughter to the march in Denver. We both went as the Statue of Liberty. She represents the America we love; a strong symbol of light and a refuge from oppression. I took a sharpie and wrote on my green dress: Puentes, Si! Paredes, No! (Bridges, yes! Walls, no!) I know that the rhetoric has mostly been about illegal immigrants, but the message from the White House is clear: We don’t need you, world. Our daughter and I stayed up late making torches out of plastic green bottles and orange crepe paper because we respectfully disagree. Women around the world have always been fierce protectors of peace, justice and human rights. Just ask the women who marched to stop the proliferation of nuclear weapons. They’ll tell you that it works, that there is nothing more powerful than a group of women standing together. At the time, I had two small babies and was working full time. I could barely get my teeth brushed twice a day. But still, her question was a good one. Why wasn’t I doing what I could to make my voice heard? I lacked the creativity to imagine that there were a thousand ways to use my voice without leaving the house. As a mother, I cared deeply about keeping our children safe. But where was my voice after the school shooting in Sandy Hook in 2012? Or Arapahoe High school in 2013? Where was my voice after Ferguson in 2014? It is our right to assemble, to speak up and out for what we believe in, to express our grievances. Every time we make our voices heard, we inspire change. On Saturday, before dawn, a friend showed up at my door, ready to march. She surprised me by wearing a Statue of Liberty costume as well and carrying a sign that said, “My friend’s life was saved by a Syrian immigrant” (The neurosurgeon who saved my life.) I was emotional all day. She was willing to take a stand for me. We were all willing to take a stand for each other. I loved the feeling of walking side by side with good friends and new friends. I remember walking next to a woman in her eighties and her husband in a wheelchair. I looked at her sign: “BElieve THEre is GOOD in the world.” I told her that I did believe and that I would be the good in the world. She smiled and hugged me and my daughter. She said, “I am so glad you’re here.” She reminded me of Val who challenged me, years ago, to take action. What are my next steps? I have to focus on getting 100% strong, so most of my energy right now will be going into my healing. But having limited energy forces me to act in a way that is meaningful and sustainable, that is brave over perfect. That’s why complaining and worrying are OFF my list. Since issues of health are big on my mind, I am going to start by calling those five Republican senators whose numbers are below to ask them to ensure that Trump keeps his promise and replaces the ACA with something that allows pre-existing conditions. Then, I am going to slowly increase my work and support of Starfish-Her Infinite Impact because the empowerment of girls globally is work I find deeply fulfilling and will have profound ripple effects. Then I’ll start planning on marching in the People’s Climate March in April which will give me plenty of time to come up with a creative costume and sign. Finally, our daughter and I have dreams of bringing local women and girls together every couple of months for fun events (A “No-Talent” show? A girl-run restaurant in our house? A live concert?) and dedicate each night to a cause we care about. There might be tickets, donations, art projects, calls to congress, who knows? We’re still dreaming it up. The point is to remember to use our voices to come together creatively and imperfectly to take a stand. As for the women in India, thank you! You inspired me to get up and write this piece. Your courage is truly contagious. The resources below are just a beginning. I would love to hear what next steps you are taking and what tools are in your toolbox! For more reflections, go to susierinehart.com and sign-up for the weekly blog.